The old GO Station parking lot, existing rental tower, unused ground floor and multi-level parking. An item up for discussion at next week’s Etobicoke York Community Council Meeting concerns the Weston Hub and surrounding area. At this meeting, City staff will be directed to invite residents within 150 metres of the Hub to a consultation meeting. Presumably this will be to listen to residents’ suggestions and concerns about the project. As yet a location and hour have not been announced but the date will be Wednesday, September 16. (The meeting is being rescheduled – WestonWeb will publish the date once it’s known.) In attendance will no doubt be the major players in this endeavour including Councillor Frances Nunziata. As with all such consultation meetings, any member of the public is eligible to attend. An artist’s impression of the proposed 30-storey rental tower (from Rockport). In order for the project to go ahead, approval must come from the Community Council at their November 10th meeting. It will then go to Toronto City Council for final approval (rubber stamp) and enactment. This application proposes to amend the Official Plan, the former City of York Zoning By-law No. 1-83 and City of Toronto Zoning By-law 569-2013 to permit the development of a 30-storey, 370-unit rental apartment building, seven at-grade townhouses and a 1,200 m² outdoor community open space at 22 John Street, which will be used for a Farmers Market and public open space. A 794 m² Creative Cultural Hub with 26 affordable live/work artist units is also proposed at 33 King Street and 2 Elsmere Avenue, with 70 new Toronto Parking Authority (TPA) parking spaces on the lands municipally known as 14 John Street. In addition, 3,897 m² of vacant ground floor space at 33 King Street is proposed to be converted to a self-storage facility. 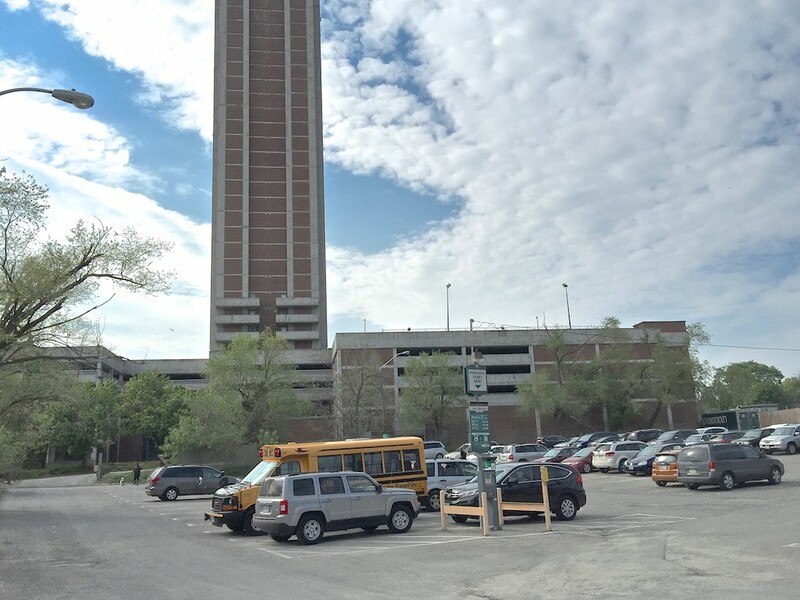 Parking for the proposed development at 22 John Street would be provided in an underutilized parking garage located at 33 King Street. The Weston community has been identified as one of the City’s 31 Neighbourhood Improvement Areas (NIA’s). The proposed development, along with local expansion of public transit by Metrolinx and GO Transit, will contribute to an area-wide social and economic revitalization. This report provides preliminary information on the above-noted application and seeks Community Council’s direction on further processing of the application and on the community consultation process. A community consultation meeting arranged by staff in consultation with the Ward Councillor has been scheduled for September 16, 2015. A Final Report and statutory public meeting under the Planning Act to consider this application is targeted for the November 10, 2015 meeting of Etobicoke York Community Council provided that all required information is submitted by the applicant in a timely manner. Coming soon to Weston? Yuuuuup! I don’t recall prior mention of almost 4000 square metres (43,055 sq feet) of rental self-storage as part of previous Hub discussions. Surely self-storage doesn’t belong in or near a cultural hub? This dwarfs the less than 800 square metres (8,611 sq feet) of creative programming space also on the vacant ground floor of 33 King. In other words the ground floor community space will be 83% self-storage. Since the apartment building will have no parking spaces, tenants will be sharing parking space with the storage and Cultural Hub folks in the existing multi-level parking garage. The number of rental apartments in the 30-storey building seems to have been nudged about 6% upwards from Artscape’s claim of 350 to 370. Flatteringly, Artscape reckons that Weston is, “a neighbourhood that has not seen new private investment since the 1970s”. N.B. This article has been edited to reflect that the meeting will not be held on September 16 but on another date. The Etobicoke York Community Council Agenda had this as the date but according to Councillor Nunziata it is incorrect. WestonWeb will publish the date once it’s known. Wait – community council? who is that? Is this the ratepayer’s association? Sorry, Eric, it should have read Etobicoke York Community Council. I will append. Ah yes, whoever they are. “Democracy in action”, eh?. I dare say the residents of Mimico have about as much stake in this as we do over what happens in Woodbridge. 1. Make as much fuss at the upcoming meetings as possible. Barring some extraordinary circumstance, I will be going. 2. Make it clear to our esteemed councillor that she will never again get a vote from any one of us if she continues to persist in supporting this folly. Oh thank you to all those folks that think they are the ones to fix Weston and defend Weston with their claims that a coffee shop will change Weston, or that adding another rental tower will bring more business/foot traffic to Weston Rd, oh how I could go on!!! These are the very people that adore adding another 30storey rental tower to Weston yet are against a smaller scale building on Weston Rd….Does that make sense…? Again THANK YOU! At first reading I thought the storage was for the artists, but then I went back and read the numbers. It’s 42,000 square feet. So many questions arise out of this: will this be public self-storage? Who will operate it? Where will the parking be for the trucks that people will use to move things in/out? I can’t believe this wasn’t mentioned before this. Chris, the typical locker space rented out is a 100 square foot floor area. The self-storage facility at 43,000 square feet could therefore provide up to 430 units. There are only going to be 26 artists in the Hub so yes, I would guess it’ll be public self-storage. Some allowance would need to be made for access so the number may be smaller. Regardless, this would generate quite a bit of traffic as some storage is for short term only. Roy: Does this mean that 43,000 sq ft of space will be allocated as 2600 sq feet for artisians….a tiny little outside space for a farmer’s market and (say 200-300 sq ft – guessing) and then 40,100 sq feet allocated to storage lockers? Or is this 40,100 sq feet remaining (or part thereof) to be used for the new high apartment building? This is the first I’ve heard about public storage units….please explain. Susan, this is the space inside the existing building (with the parking garage above it) that has sat empty for the last few decades. It was originally designed to hold a supermarket. Under the proposal, 83% of that space will be converted to a storage locker facility with 17% (8600 square feet) set aside for community organizations (for which there will be a rental charge). Under the proposal, the Farmers Market will occupy 1200 m² (13,000 square feet) of outdoor space adjacent to the tracks. Parking for the Farmers Market will be on the fenced off land closer to Weston Road that was recently purchased by the city. This has generated a bit of a stir as traders currently are able to park by their stalls. Under the proposal, traders will not be able to do this. The 30-storey rental apartment building will occupy the space where the current market operates. With 370 units, they could in theory give every unit a 100 sq ft storage locker. Is that usual in rental buildings? Our old condo had them, but it was more like 20 sq ft.
That still leaves 5000 sq ft of locker space. Chris, I believe that this would be a full scale storage locker business separate from the rental apartments. No doubt if tenants wished to rent one they could – at a price. It appears that once again Weston is being treated in a shabby manner. Now it appears that the artistic community will be smaller than expected and the deal will include a rental storage facility. Anyone who has ever watched Storage Wars knows that even in the worst parts of California, storage facilities are not located in the middle of residential areas, But, what the heck this is Weston; they’re lucky to get anything. As Doctor Phil is found of saying, people will treat you as you allow them to treat you. Weston, you need to develop some pride in your area. If I were a resident of Weston, I would begin my quest for the truth by contacting the Weston Residents’ association, or whatever they’re called, and ask if they still think this is a good deal for the area. I’d then phone the councilor, I assume it’s still Francis Nunziata, and demand to know why so much taxpayer money is going into a development which will bring so little to the area and gives so much to the developer. I would show up to every meeting about this project and demand a better deal. Finally, keep in mind Artscape is just another developer. It is not run by artist, does not rent only to artists and has not managed to gentrify any area. Whychwood was a desirable area long before Artscape developed Whychwood Barns. The fact that it is located just south and a little to the west of Forest Hill has never hurt their property value. Whychwood Barns is beautiful because the structure was built in 1913 and though only a TTC maintenance facility they used to construct beautiful buildings in the good old days. Visit the structure and look at the part which Asrtscape developed. The inside is a poorly designed, very ugly mishmash of concrete and steel girders with absolutely no tie to the exterior beauty of the building. Once again the much longed for gentrification of Weston is not going to happen. In order for Weston to shed it’s poor reputation all its residents must work together to celebrate its diversity. You need a councilor who will build bridges between communities and help people engage in dialogue. That is the way toward developing a truly vibrant community. Finally, I think Weston owes Roy a lot of thanks for bringing all of this to light. Yes, many thanks to Roy for all the hard work it took to research this mess, and throw a spotlight on the back room deals that are not in any sense good for the neighbourhood.